Cranford Community College leads the Cranford Teaching School Alliance whose work focuses on Initial Teacher Training, Leadership Development, School to School Support through development of the best practitioners in their fields and Research and Development to stay at the cutting edge of educational innovation. The Executive Headteacher Kevin Prunty is a National Leader for Education commended by Sir Michael Wilshaw in the 2015 National and London Ofsted Reports for his outstanding work in leading a primary school from Requires Improvement to Outstanding within a very short timescale. Cranford Community College is the Lead School for a partnership comprised of several primary and secondary schools working in conjunction with the London Diocesan Board for Schools Centred Initial Teacher Training (LDBS SCITT) to recruit and train teachers on the School Direct programme leading to Qualified Teacher Status (QTS) with the option of a Postgraduate Certificate in Education (PGCE). We have a wide range of vacancies, salaried and tuition fee, in both primary and secondary in all subjects. We’re keen to recruit high quality graduates; places are highly sought after so please apply as early as possible. Please see our UCAS profile for details. We strongly support all our trainees to study for their PGCE and meet the cost of this on your behalf. The PGCE demonstrates that you have critically engaged with the research and knowledge base which underpins professional practice. A link tutor from LDBS SCITT will visit you in school at least twice each term to observe your teaching. You will also be assigned a school-based mentor who will meet with you each week and monitor and review your progress. Once you have qualified, you will be eligible to apply for a job in the school where you train or in another Primary school. LDBS SCITT run a series of Open Information events and Teaching Taster Days throughout the year. These are very useful and informative and we strongly recommend you sign up to gain valuable information about the programme, how to apply and what to expect at the interview. 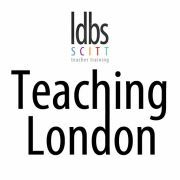 Please contact Teaching London on 0207 932 1126 for further details.